It's a big weekend for Hollywood types who are on pins and needles for the annual Academy Awards show on Sunday. But I'm more excited for Adam Seger, who won Moet's first-ever cocktail contest for the famed Oscars' after-party also known as the Governor's Ball. He stopped by The U's You & Me This Morning to whip up his Moet Red Carpet Glamour that he'll make for hundreds of celebrities at the bash. See him make it right here, so you can re-create it at home for your Oscar-themed party. Josh Pearson Snags Another Honor! 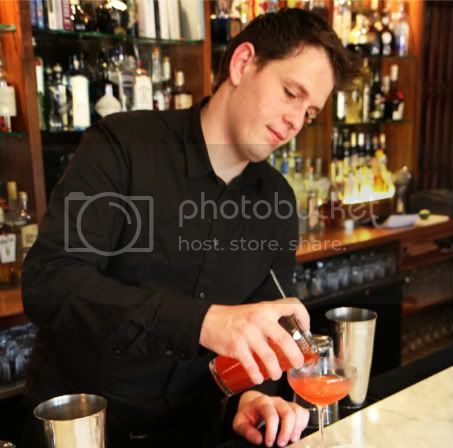 Fresh off his awesome Banchet win for Best Mixologist, Josh Pearson snags another cool honor. But this time Sepia's red-hot bartender competed for his favorite charity, United Through Reading, at Texas de Brazil's first-ever Caipirinha Mixology Competition on Tuesday. Going up against Pearson was The Bedford's Peter Gugni and Benjamin Newby of The Underground. The guys were charged with coming up with their own spin on the Caipirinha—Brazil's national cocktail—to win money for their favorite charities. 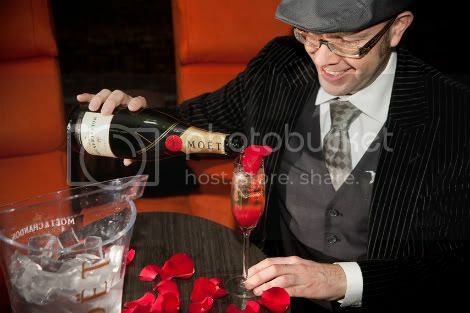 While Pearson competed for United Through Reading, Newby shook cocktails for Open Heart Magic and Gugni whipped up drinks for Imerman Angels. One hundred percent of the party's proceeds went to the winner's chosen charity. Pearson's Literate Caipirinha won the People's Choice Award as well as knocked the socks off the judges, which consisted of the RedEye's Emily Van Zandt, Michigan Avenue mag's Rachel Gillman, and the Chicago Sun-Times' David Hammond. In the end, Pearson won $3,000 for United Through Reading, which he says 95 percent actually goes to help people. 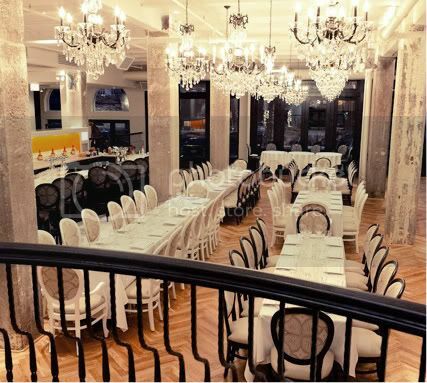 The West Loop's hotter than ever with so many restaurants set to debut this year, including the just-opened Au Cheval diner at Halsted and Randolph. But taking it up a few notches should be Nellcôte, when it officially opens the first weekend of March. The French-focused spot's helmed by chef Jared Van Camp (Old Town Social), and it's so beautiful that it's breathtaking. To celebrate, Van Camp's throwing an exclusive, Evening of Exile-themed VIP bash, and he's inviting 200 of his closest friends to party with him. Wanna join?! I've got five pairs of tickets for some lucky folks to attend the party, which includes passed appetizers from Van Camp's menu, specialty cocktails and wine. It happens 6-8pm Feb. 28. Follow 312 Dining Diva on Twitter for a chance to win. We'll randomly select five lucky folks by 3pm Friday, Feb. 24, so you'll have an opportunity over the weekend to pick out the perfect outfit to wear. Brendan Sodikoff's a beast when it comes to opening restaurants. The guy's had much success with Doughnut Vault, Gilt Bar and Maude's Liquor Bar, and now he's opening what he's calling a "high concept" diner. You won't find the typical fixin's at Au Cheval, his latest spot, opening Wednesday. 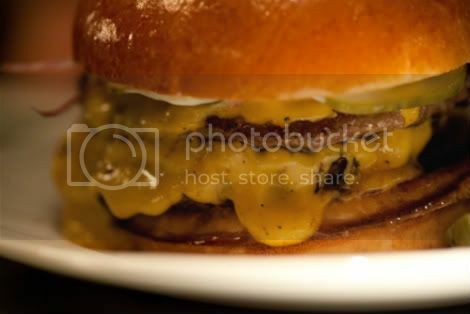 The very meat-heavy menu contains dishes like beef stew with marrow bones, foie gras terrine, griddled burgers, crispy potato hash with duck heart gravy, and a 32 oz. pork Porterhouse with foie gras and apples. And unlike most diners, you'll find booze on tap, from a number of offbeat beers to classic cocktails.